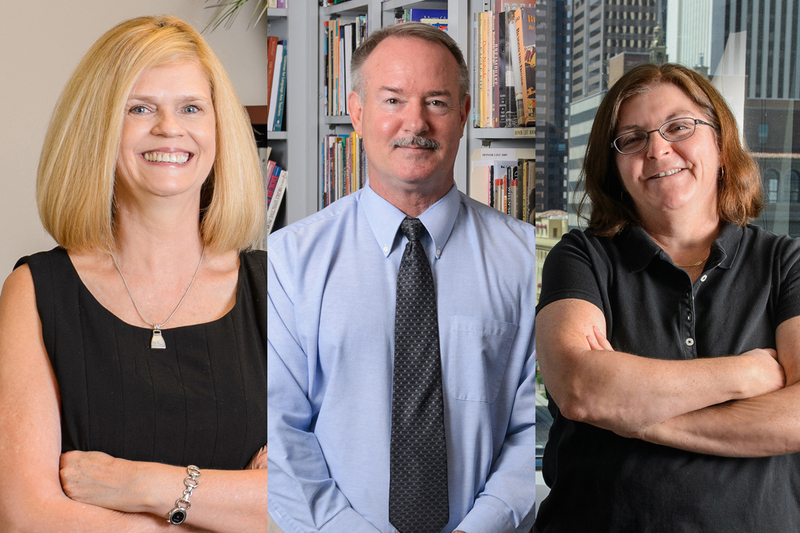 Three Arizona State University professors, with multiple awards, honors and publications among them, are also distinguished by commitment to their students’ academic and professional success. The award honors mentors who have demonstrated excellence in areas such as graduate teaching excellence, chairing doctoral committees with timely completion rates, attracting doctoral students to ASU, a commitment to diversity and guiding student professional development. “Knowing how talented, devoted and knowledgeable our doctoral students are, I have always thought it was my job to help put them in the right place at the right time, so they could show the world what they know, what they are learning and how they are trying to change the world,” says Blasingame, who focuses on young adult literature, literacy, secondary writing instruction, preparing pre-service teachers and cowboy poetry. Known affectionately by his students as “Dr. B,” his numerous teaching innovations include relationships forged with local high schools and literacy projects in which ASU doctoral students helped struggling readers, as well as programs such as the Mesa Writing Project – an experiential workshop on the teaching of writing for K-12 teachers, directed and co-directed by ASU English faculty and doctoral students. “Professor Blasingame is a prominent national and international voice in the area of young adult and adolescent literature, teacher education, writing instruction and the Six-trait Writing Model,” writes Maureen Daly Goggin, a professor in the Department of English. Before joining ASU in 2000, Blasingame spent 24 years in secondary education and is past president of the Arizona English Teachers’ Association. Among his honors and awards are the 2008 ASU Foundation Parents' Association Professor of the Year; the 2008 International Reading Association Arbuthnot Award winner for outstanding professor of children's and young adult literature; and the 2007 ASU College of Liberal Arts and Sciences Distinguished Teaching Award for the Humanities. He is also one of 11 ASU professors to be given the 2007 Arizona State University Parents’ Association Professor of the Year Special Recognition Award. His current and former students credit him with helping them to network in the field, publish and develop experience as teachers and scholars. Students also describe him as compassionate, unpretentious, inspirational and committed to the success of his students. Blasingame has authored and co-authored more than 45 publications, including eight books, as well as book chapters, articles and editorials. Interviewed numerous times online and in print, he is also a book reviewer of young adult literature. Carlson’s students praise her not only as a motivational force, but also for the extraordinary ways in which she champions their academic and future careers as math educators – from publishing, to independent research, to collaborative opportunities. After joining ASU faculty in 1995, Carlson served as the director of the Center for Research on Education in Science, Mathematics and Technology (CRESMET) from 2003 to 2008 and also led the development of a doctoral concentration in mathematics education. Under her leadership, CRESMET increased its supported research projects by 600 percent and she has been an investigator on a dozen projects funded by the National Science Foundation. Carlson has been invited to speak at numerous national and international conferences, and is a respected consultant to universities seeking to improve mathematics education. Among her honors are a National Science Foundation CAREER award and the ASU President’s Medal for Team Excellence (awarded with distinction). She has also served as a member of the Eisenhower Advisory Board for the State of Arizona, on a National Research Council panel investigating advanced mathematics and science programs in U.S. high schools, and has participated in policy deliberations at state and national levels. In addition to more than 150 publications and presentations, she has sponsored 45 graduate research assistants since she joined ASU, and served as major advisor or committee member for over 30 doctoral students. Segal is described by her students as a tireless and enthusiastic mentor who instills confidence and the motivation to achieve their dreams, as well as encouraging the highest standards of academic excellence. Since joining ASU in 1995, countless students have benefited from her counsel as she has chaired and served on dissertation committees as well as informal mentoring. As a strong proponent of diversity and social justice, Segal is credited with inspiring and attracting underrepresented minorities to ASU’s College of Public Programs, including women, all ethnic minorities, sexual orientations and ages. “As a first-generation college student of Mexican immigrant parents who did not graduate from high school, it was difficult to find a faculty mentor at a large university during my bachelor’s and master’s degree programs,” says doctoral graduate David Becerra, now an assistant professor in the School of Social Work. Social justice, poverty and inequality are major areas of Segal’s research and publications, as well as public service in institutes such as the Southwest Poverty Consortium and Arizona Human Rights Foundation. During her professional career, Segal has delivered presentations worldwide and been interviewed on social issues such as immigration policies, promoting social justice, homelessness, social empathy and childhood poverty. She has authored or co-authored 10 books and over 90 other publications. Vera Coleman decided to take a new academic direction after studying in Spain for a semester. 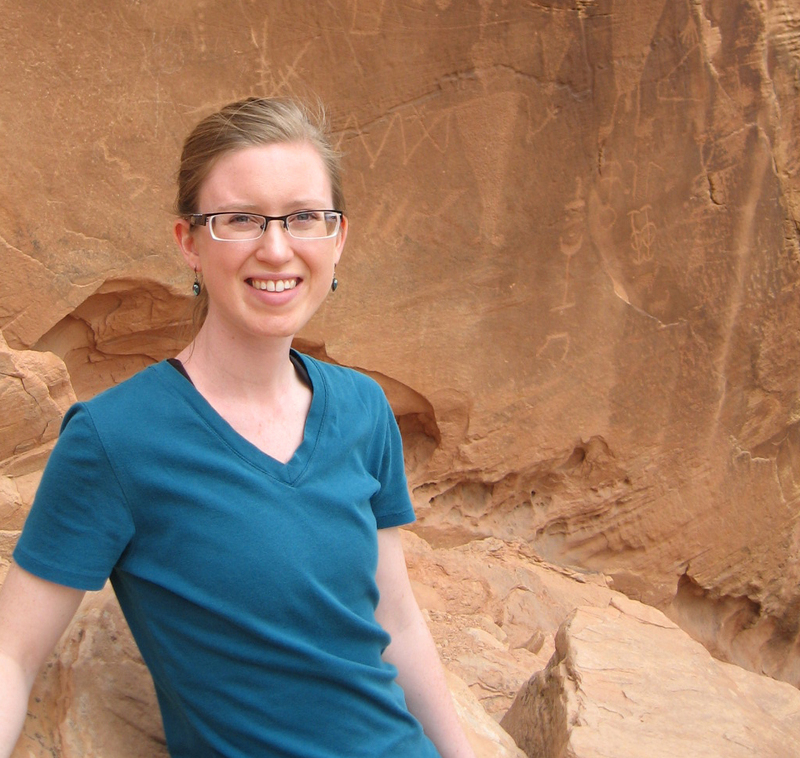 Now a doctoral student, Coleman's research has broken new ground in Latin American theory and criticism. Vera Coleman, a doctoral student in Spanish literature in the School of International Letters and Cultures in ASU's College of Liberal Arts and Sciences, was inspired to take a new direction with her academic studies after living and studying abroad. “Although I began pursuing bachelor’s degrees in biology and pre-medicine, after two years of undergraduate work and one semester abroad in Spain, I realized that as much as I loved the natural sciences, Hispanic literature and culture were my true passion,” Coleman says. Coleman’s research has examined the correlations between the natural sciences and the humanities in Latin American poetry. “Vera's interdisciplinary master’s thesis, ‘Body and Universe: Post-humanist Approaches to Materiality in the Poetry of Cristina Peri Rossi and Cecilia Vicuña,’ breaks new ground in Latin American theory and criticism as it intertwines poetry, chemistry, biology, quantum physics and material feminism, all in plain language,” says Cynthia Tompkins, professor of Spanish and Coleman’s master’s thesis committee chair. In support of her doctoral work, Coleman received a Graduate Education Dean’s Fellowship for the 2013-2014 academic year. The fellowship provides financial support to regularly admitted first year graduate degree students who are Arizona residents or underrepresented in their discipline, and who demonstrate academic excellence. The School of International Letters and Cultures offers courses in more than 20 languages and cultures, making it one of the most dynamic international humanities programs in the United States. The school offers master's and doctoral degrees in Spanish with either a literature or cultural studies concentration. With world-class faculty members from Spain, Argentina, Mexico, Brazil and other Spanish and Portuguese speaking countries, graduate students in the programs have opportunities for not only interdisciplinary study, but cross-cultural study as well. The school’s Spanish graduate programs are highly regarded by the international academic community. In addition to Spanish literature and cultural studies on campus, the school offers study abroad programs to Seville, Spain, Barcelona and León, Spain, Mérida, Mexico and São Paulo, Brazil. School of International Letters and Cultures' study abroad programs are among the longest-running and most prestigious at Arizona State University. Founded in 1981 and directed by knowledgeable world-class faculty, the programs offer students the opportunity to experience and study international humanities and learn languages first-hand while earning credit toward their degrees. Open to both graduate and undergraduate students, the school's study abroad programs in Spanish and Portuguese focus on the many cultural and literary differences within Spain and Latin America. Students in the Barcelona and León program, for example, have the opportunity to stay with host families while attending classes at the Universidad de León. Courses are balanced with weekend trips to surrounding cities to discover the rich cultural and literary history of the country. The programs in Mexico and Brazil also offer enriching experiences with ancient (Mayan) and modern (urban Latin American) cultures through a mix of class work and cultural expeditions. Coleman plans to pursue a career in teaching Spanish and Latin American literature at a college or university while contributing to the field through further research. She plans to travel to many more Latin and Central American countries, including Mexico, Peru and Argentina. Written by Daniel Lennie, communications intern, School of International Letters and Cultures.